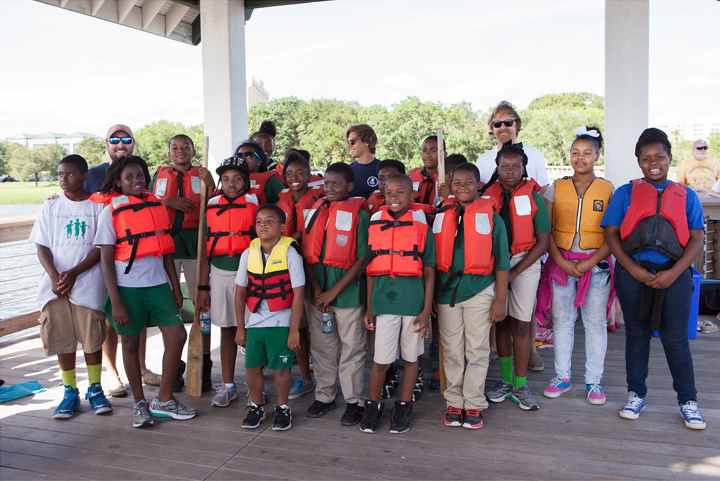 Prentice (Tripp) Brower, executive director of Lowcountry Maritime Society (LMS) in Charleston, SC, has found that Building to Teach provides him with the right tools to reach his young audience and help them learn about the city’s rich maritime history as well as essential skills like mathematics. 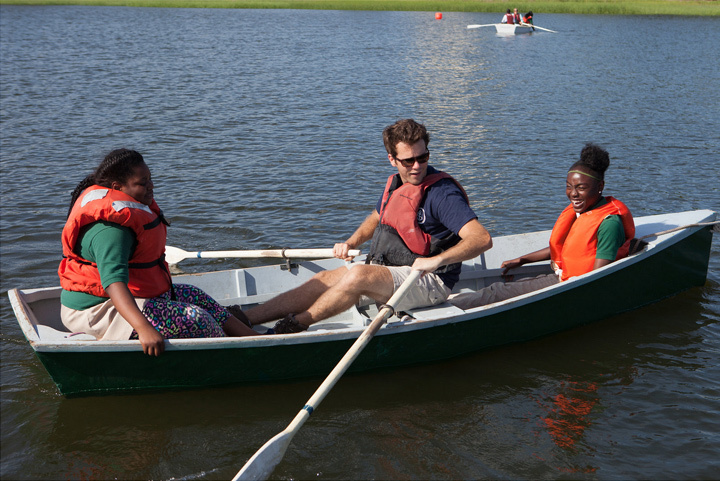 In its first year, LMS built four new boats and restored three others, using the Bevin skiff curriculum from Building to Teach at Sanders Clyde Elementary/Middle School. The 40 participating students in these STEM classes work with LMS and volunteers to take ownership of new math skills and cultural understanding. These 5th and 6th grade students spent the semester working collaboratively to build boats and relate regional historical facts with their own lives and experiences today. Brower has used the Building to Teach curriculum to help students learn everything from social studies to physics, taking scaled plans and translating them to be used in building a 12-foot skiff, ready for rowing or sailing. “It’s life-changing when kids get a tool in their hand,” he says.